Who said New Year’s Resolutions involve giving up your favourite foods? 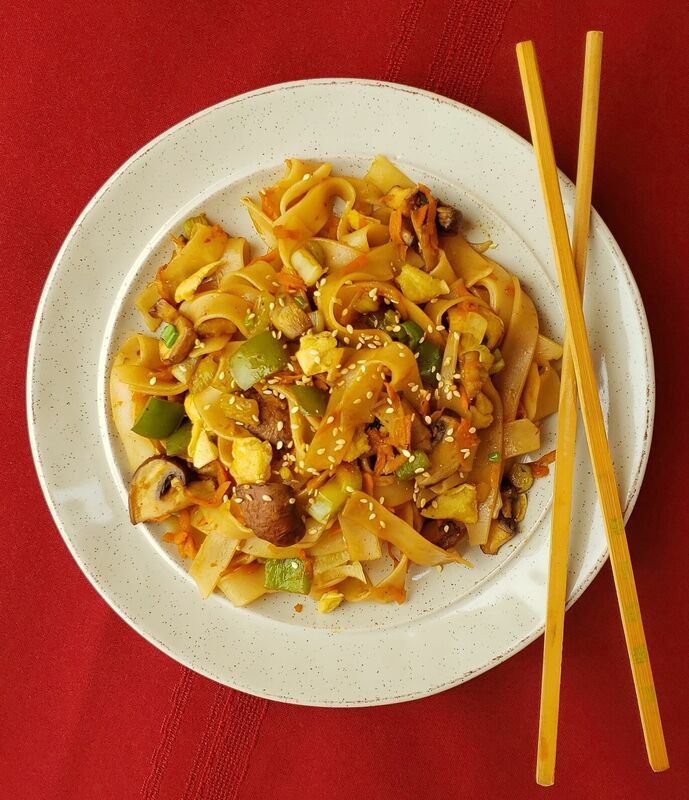 This take-out inspired recipe is spicy, savory, and full of vegetables. It’s a great meal to take for lunch at the office or with the kids to school (thanks to our nut-free option!). Feel free to double up on the sauce recipe if you want an extra kick! Whisk all the sauce ingredients and set aside. Add shredded carrots and noodles to the mixture, toss in the pan for 1 minute. Stir in the pad thai sauce, cover and simmer for 2-3 minutes. Once heated thoroughly, serve and garnish with green onion and sesame seeds. Enjoy!